But being the simplicity-obsessed person than I am, I knew I wanted to make a blueberry-maple recipe that was a bit less involved. Call it lazy, I call it uncomplicated. And since I have a protein shake most mornings on my walk to work, I thought it the perfect opportunity to put a creative spin on one of my favorite breakfasts. 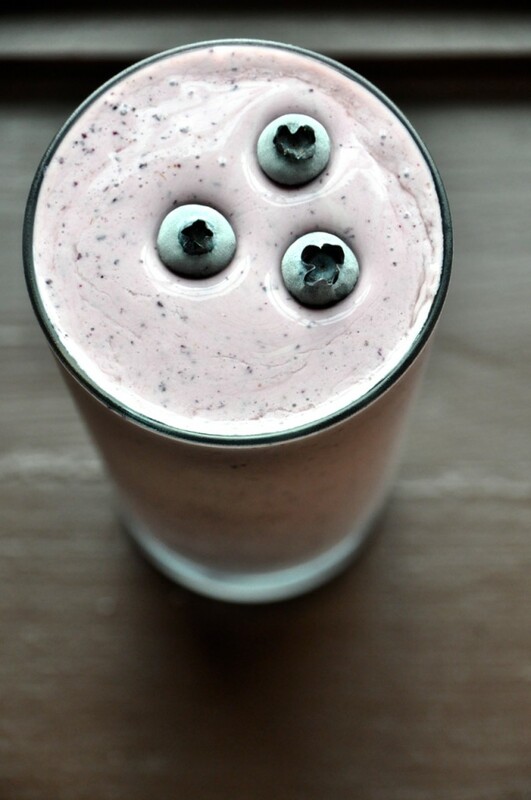 Blueberry and maple are a perfect summer flavor combination, and when thrown into an ice-creamy health drink, the pairing tastes all the better. You can make this recipe vegan-friendly by opting for a non-dairy milk or yogurt base and protein powder. You can also throw in a big handful of spinach without it affecting the taste at all, which makes it even more of a well-balanced meal. This simple recipe requires less than 10 and comes together in about 5 minutes. It's the perfect portable breakfast that provides a full serving of fruit and plenty of protein. 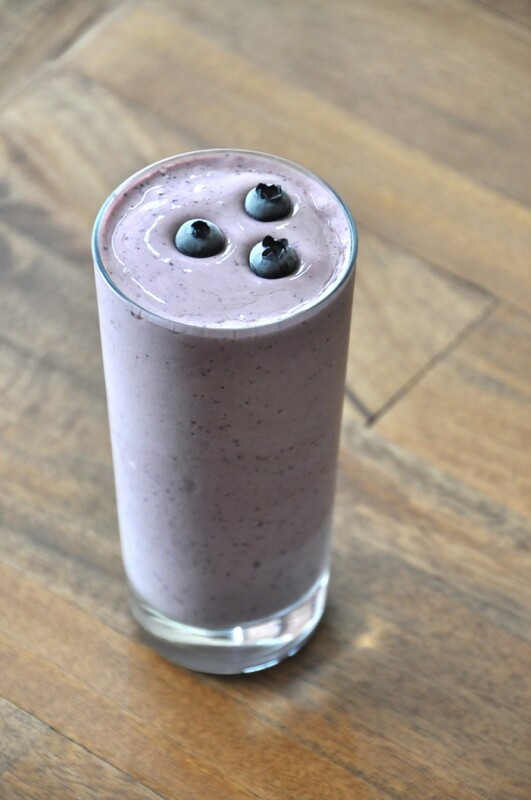 Place all of your ingredients in a blender and mix until well combined. If it appears too runny, add more ice. If it's too thick, add more water. Add more sweetener or extract at the end if the flavor isn't strong enough for your taste. 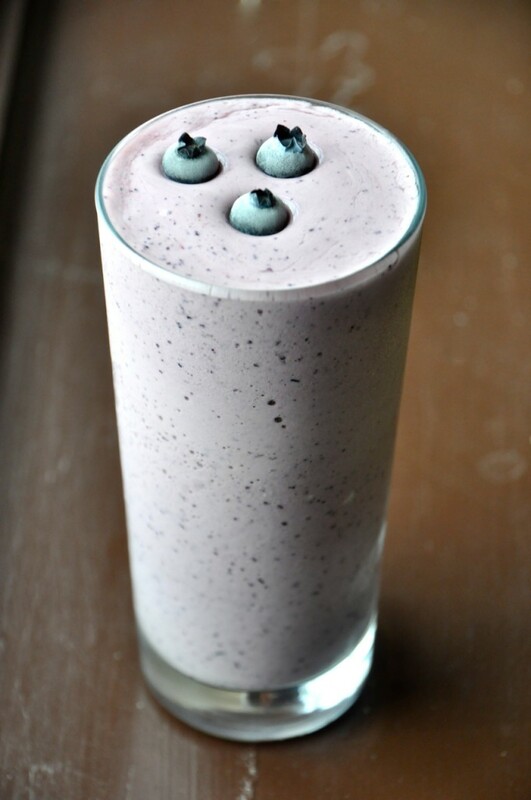 *Use a non-dairy yogurt or milk for the base and a non-dairy protein powder to easily make this recipe vegan-friendly. *I add a handful of raw spinach to mine for extra veggies without any change in flavor. *Questions about substitutions, equipment, or troubleshooting? Check out our Recipe FAQ page. This recipe was exactly what I was hoping for out of my blueberry and maple combination. Refreshing, perfectly sweet, and adequately maple-y. I think this is love. Such a unique and tasty flavor combo! Makes me want to have blueberry pancakes with maple syrup! 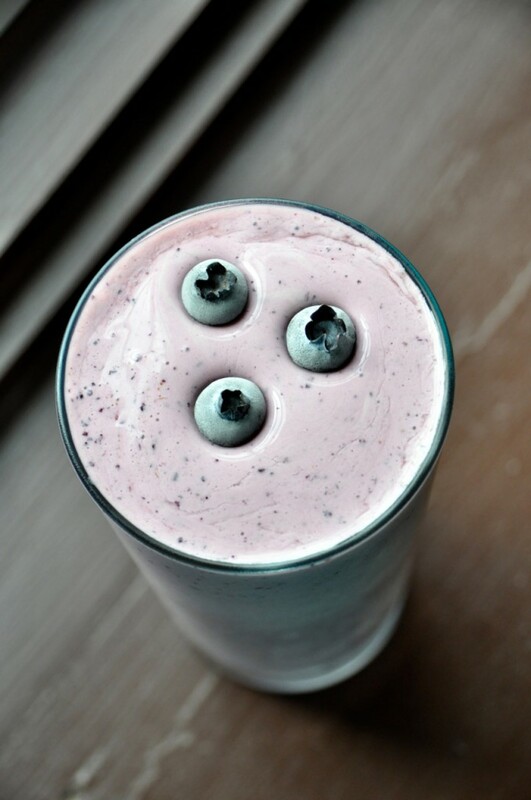 Pretty good shake. Tasty and full of nutrients. I still haven’t quite mastered xanthan gum, I always try to add sparingly and the shake ends up with a mouthfeel that is…well, gummy. Love this recipe though. What parent doesn’t want their child to know programming. to fill the labor gap left by its aging population. Flax seed is optional. Maple syrup can be used! Just curious, what’s xanthan gum and why does the addition of it help? 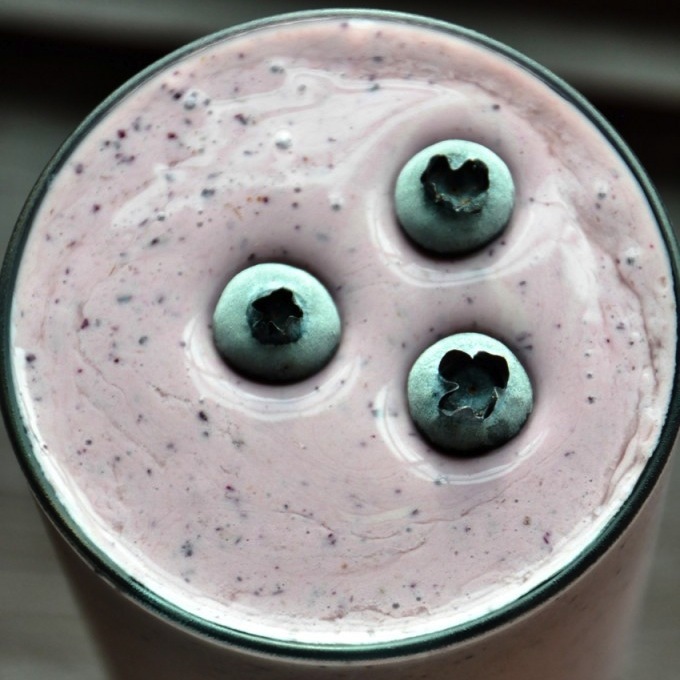 Rachel, xanthan gum is a natural thickener and helps make the shake more creamy, but you could also sub chia seeds for a similar effect and more health benefits. Hope that helps! 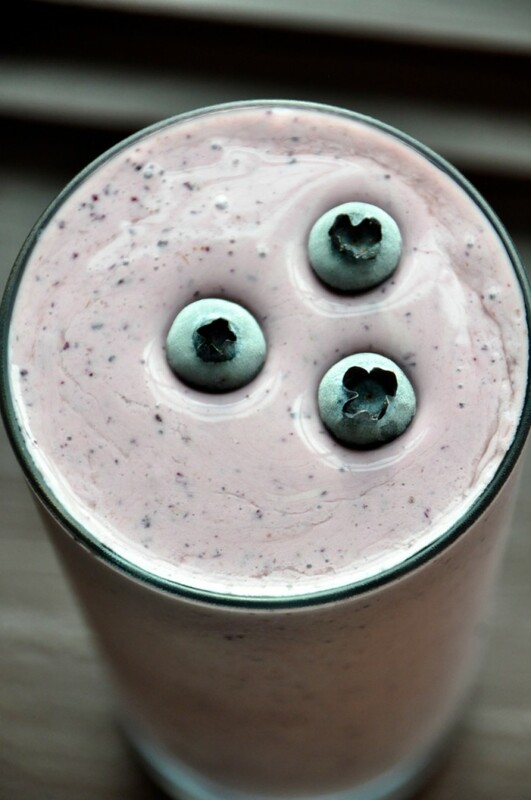 This shake sounds amazing!! I can’t wait to try it out! Im new to your site from Iowa Girl. Could you speak to protein powders for us who have never used them. I’d love to find one that does not alter the taste and is not chalky in texture. Thank you! Barbara, there are so many protein powders out there it’s kind of overwhelming. The only one I’ve tried with any luck is MRM whey in rich vanilla, and the taste/texture/nutrition are spot on. The main concerns with protein powders are added sugar (you wanna keep sugar low), artificial sweeteners, such as aspartame (which you want to avoid), and ensuring they’re as natural as possible. Get a non-gmo/organic brand if you can. The flavor preference is then left up to you! Hope that helps. The pictures are amazing, Dana!